Outlawed discrimination in hotels, motels, restaurants, theaters, and all other public accommodations engaged in interstate commerce; exempted private clubs without defining “private,” thereby allowing a loophole. The 1964 Civil Rights Act was a landmark in legislative attempts to improve the quality of life for African Americans and other minority groups. Although civil rights had a long history as a political and legislative issue, the 1960s marked a period of intense activity by the federal government to protect minority rights. The Act did not resolve all problems of discrimination. But it opened the door to further progress by lessening racial restrictions on the use of public facilities, providing more job opportunities, strengthening voting laws, and limiting federal funding of discriminatory aid programs. The story of the 1964 Civil Rights Act is interesting and instructive because it illustrates how an historically important piece of legislation became part of our nation’s heritage. An examination of the Act also provides a way to understand the climate of opinion regarding African American rights, the nature of civil rights activity, the obstacles to political and social change, the role of politics in the way issues are handled, the actions of individual senators and representatives, and the nature of legislative activity in general. The intricate process that makes a bill become law is a combination of all these factors. Although the United States Constitution contains no express reference to federal protection of minority rights, amendments ratified after the Civil War directly addressed the civil rights matter. The 13th, 14th, and 15th amendments outlawed slavery, provided for equal protection under the law, guaranteed citizenship, and protected the right to vote for African American Americans. The amendments also allowed Congress to enforce these provisions by enacting appropriate, specific legislation. In the nine years spanning 1866 through 1875, Congress passed five major pieces of legislation designed to enact the spirit of the amendments. By the early 20th century, however, further legislative modifications and judicial decisions rendered by the United States Supreme Court restricted severely the application of civil rights measures. As a result, individual states controlled the treatment of blacks, with southern states generally the harshest in their abuse of civil rights. The federal government took very little action to enforce civil rights after 1900. The climate of opinion did not yet favor comprehensive legislative action by Congress to remedy the increasing disregard for the rights of African Americans. Historical momentum for civil rights legislation picked up speed after 1945 as a result of black migration to northern cities and the experiences of black soldiers in World War II. Bills introduced in Congress regarding employment policy brought the issue of civil rights to the attention of representatives and senators. In 1945, 1947, and 1949, the House of Representatives voted to abolish the poll tax restricting the right to vote. Although the Senate did not join in this effort, the bills signaled a growing interest in protecting civil rights through federal action. The executive branch of government, by Presidential order, likewise became active by ending discrimination in the nation’s military forces and in federal employment and work done under government contract. The Supreme Court joined the civil rights forces in the 1950s and, in the process, added to the historical pressure for sweeping legislation a decade later. In a number of cases after World War II, the federal courts began to protect the civil rights of minorities in certain specific circumstances, gradually making it possible for African Americans to participate in some activities on an equal basis with whites. The Supreme Court took its most memorable step in this direction when it agreed in 1954 to hear a case dealing with racial segregation in public schools. To separate black children from others of similar age and qualifications solely because of their race generates a feeling of inferiority as to their status in the community that may affect their hearts and minds in a way never to be undone . . . We conclude that in the field of public education the doctrine of separate but equal has no place. Separate educational facilities are inherently unequal. The Brown decision meant that white and African American children could not be forced to attend separate public schools. The Supreme Court s landmark decision was one of the single most important features of the climate of opinion that began to encourage federal action to protect civil rights. Yet the Brown ruling did not settle the controversy surrounding the treatment of minorities in the United States. Although the Supreme Court made its commitment to equal rights unmistakably clear, the cause of civil rights still required affirmative action by Congress to become a reality for most African Americans. The United States Congress began to take its first, tentative steps to enact major civil rights legislation soon after the Brown decision. Although Congress considered a civil rights bill each year from 1945 until 1957, every measure failed to pass into law. It was not until Congress turned its attention to voting rights in 1957 that the first civil rights act of the 20th century actually became law. Congress followed the 1957 Civil Rights Act with another in 1960. Together these measures made moderate gains for minorities. More importantly, they foreshadowed increasing support for more substantial civil rights guarantees in the 1960s and contributed to a climate of opinion favoring these guarantees. By the early 1960s, the nation s congressional history contributed to growing legislative pressures for a comprehensive civil rights law. Although political pressures prevented President John F. Kennedy’s administration from proposing legislation to Congress in 1961 and 1962, the President took steps to ensure minority rights in voting, employment, housing, transportation, and education by executive action. The stage was set for a new legislative initiative to deal with the problem of federal protection of civil rights. The nature of American society also hastened the movement towards civil rights legislation. The Civil Rights Act of 1964 not only represented a period of intensity in legislative activity but it also reflected the changing nature of social conditions in the United States. Minority groups grew more vocal and persuasive in their demands, and many white Americans began to see the need for civil rights laws. These social conditions contributed mightily to the climate of opinion demanding congressional action. African American Americans became increasingly vocal and better mobilized for political action after World War II. During the 1950s, they began to protest their treatment more publicly and actively as they demanded comprehensive protection of their civil rights. African American protesters pointed to a number of social inequalities from which they suffered. Segregation prevented them from using a variety of public facilities on an equal basis with whites. African Americans were restricted in their use of public city buses, park facilities, and restrooms, for instance. Educational opportunities were limited sharply by the practice of separating African Americans and whites and providing African Americans with inferior instructional equipment. As late as 1963, for example, only 12,000 of the 3,000,000 African Americans in the South attended integrated schools, in spite of the Brown decision. Finally, employment practices throughout the South and in many northern cities restricted African Americans’ ability to advance economically. In addition to challenging segregation in the courts, African Americans relied increasingly upon direct action to publicize their plight by staging sit-ins and boycotts. Perhaps the most dramatic of the early protests was Martin Luther King, Jr.’sdemonstration in Montgomery, Alabama, in 1955. Protesting rules that required them to sit in the backs of buses, African Americans refused to use public transportation and picketed against the regulations. The protest soon spread as African Americans boycotted white Montgomery businesses in an effort to slow down business and to force businessmen to support African American demands. After months of confrontation and some violence, the city agreed to end seating requirements on buses, signaling a symbolic victory for civil rights workers in the South. Similar protests grew up throughout the South, highlighted by violence in Little Rock, Arkansas, in 1957 during school desegregation demonstrations. Building upon the legacy of the 1950s, the pace of social protest increased dramatically in the four years before passage of the 1964 Civil Rights Act. In February 1960, African American students demonstrated against segregation at a department store lunch counter in Greensboro, North Carolina, by conducting a sit- in protest that soon spread to more than one hundred other communities. Later that year, after violence erupted over New Orleans’s school racial policies, the Supreme Court struck down a Louisiana statute blocking integration. In January 1961, two African American students enrolled in the University of Georgia at Athens marking the first desegregation in public education in Georgia. As isolated protests against segregation increased, many civil rights organizations gained new strength through increasing membership and financial support. The Congress of Racial Equality (CORE) set an example of non-violent direct action that proved effective even though whites dominated CORE. The National Association for the Advancement of Colored People (NAACP) set up legal defense funds to aid jailed protestors. The Southern Christian Leadership Conference (SCLC), theStudent Non- Violent Coordinating Committee (SNCC), and the Urban League all prospered as organizations representing the civil rights movement. A major development in the civil rights direct action protest movement occurred with the formation of the Freedom Rides in the early 1960s. Groups of African Americans and whites entered southern cities by bus to test segregation barriers in transportation facilities. Frequently, they were met with violence. In May 1961, while riders were in Alabama, rioting broke out, forcing the U.S. Attorney General to protect civil rights workers with U.S. marshals. During the fall of 1962, James Meredith’s attempt to enroll as the first African American in the University of Mississippi in Oxford generated extreme hostility. Two men were killed and 375 injured as the state resisted Meredith’s admission. Social pressures continued to mount in 1963. Martin Luther King organized peaceful demonstrations in Birmingham, Alabama, to protest segregation in public facilities, but many whites responded angrily. Throughout the spring, an escalating cycle of violence consumed Birmingham, forcing President Kennedy to alert federal troops and to warn Governor George Wallacethat continued violence against peaceful civil rights marchers would bring the troops into action. The murder of civil rights workers Medger Evers and William L. Moore added fuel to the controversy. Birmingham whites killed several other African Americans, including four young girls who were attending Sunday school when their church was bombed. The nation’s news media covered the Birmingham episodes in depth, bringing pictures into homes throughout the country of whites beating African Americans, of dogs snarling at protesters, of fire hoses being turned against marchers, and of police using electric cattle prods to control the crowd. Civil rights leaders and sympathizers protested the senseless violence through letters and telegrams to their congressmen. Many African Americans expressed their outrage by rioting. By 1964, there were unmistakable signs that social conditions for African American Americans required legislative attention in the U.S. Congress. Moreover, civil rights ceased to be only a southern problem as the social pressure for action surfaced in northern cities. During the summer of 1963, New York, Philadelphia, Chicago, Trenton and Newark, New Jersey, joined other cities in taking action to bar discrimination in the construction industry. To respond to civil rights activists, a number of communities established biracial committees to examine the human rights of citizens and to explore ways of guaranteeing civil rights. Major legislation rarely occurs unless there are social pressures encouraging action. The Civil Rights Act of 1964 certainly was no exception. As African Americans organized and demonstrated, other groups formed in reaction. On many occasions the result was peaceful accommodation between the two groups and a working out of difficulties. In several cases, however, violence resulted, forcing the nation as a whole to review its treatment of African Americans and other minorities. The climate of opinion had changed dramatically between World War II and 1964. It appeared that a vocal majority of churches, representatives and senators, and the nation favored civil rights legislation. The National Opinion Research Center discovered this change of attitude in a sample survey of northern whites in 1963. The Center determined that the number who approved neighborhood integration had risen 30% in twenty years, to 72% in 1963. The proportion favoring school integration had risen even more impressively to 75%. The nature of social conditions for African American Americans had created an atmosphere ripe for civil rights activity. According to the government, there were nearly 1,000 civil rights demonstrations in 209 cities in a three-month period beginning May 1963. Newsweek published a survey in July showing that 40 % of African Americans interviewed had taken part in a civil rights protest. Pressure mounted in the nation’s Capitol to respond. The politics of civil rights legislation can be viewed from a number of perspectives. In general, the political situation reflected the nation’s social transition in its uncertainty and ambiguity. Although a consensus favoring civil rights legislation eventually emerged, it is difficult to point to specific political trends that dominated the process. Political factors influenced different people in contrasting ways. The impact of politics was complicated and diffuse. One way to understand the role of politics in the enactment of civil rights legislation, however, is to look at the way President John F. Kennedyapproached the legislation. In a very important sense, Kennedy came to endorse a civil rights bill because political circumstances allowed him to support what once had been a controversial and unpopular legislative program. John F. Kennedy’s civil rights record before 1963 was neither a clear endorsement nor rejection of civil rights legislation. As a senator from Massachusetts, he had an opportunity to vote on the 1957 Civil Rights Act, the first passed in the 20th century. Kennedy apparently had enough reservations about the bill to vote to send it to the conservative Senate Judiciary Committee where it probably would have been pigeonholed. Another indication of his lukewarm support for the Act was his vote to allow juries to hear contempt cases. Southerners preferred jury to bench trials since all-white juries rarely convicted white civil rights violators. At the same time, Kennedy supported efforts to end discrimination in education. His record in the 1950s did not mark the future President as a civil rights activist. It indicated that Kennedy, much like the rest of the nation, had complicated and sometimes contradictory views about civil rights. As a presidential campaigner in 1960, Kennedy largely avoided the civil rights issue for basically political reasons. Although he endorsed some kind of federal action, he could not afford to antagonize southern Democrats whose support he desperately needed to defeat Republican candidate Richard M. Nixon. In outlining the most important issues for the campaign early in 1960, Kennedy ignored civil rights rather than jeopardize his political support. 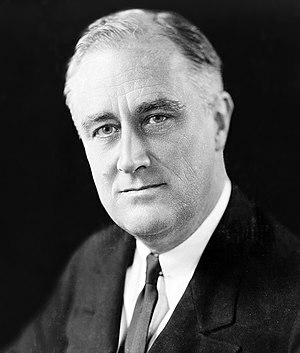 After his election in November 1960, the new President failed to suggest any new civil rights proposals in 1961 or 1962, again for political reasons. He needed southern support in Congress for his other foreign and domestic programs. It was particularly risky to introduce specific civil rights legislation in the Senate. The Senate filibuster rule made it possible for a minority of senators to prevent passage and to obstruct other Senate business. To overcome this obstacle, 67 members would have to support some version of civil rights legislation and vote to end the inevitable filibuster. It was difficult for the Kennedy administration to propose a bill without considering carefully the politics of congressional passage. Although Kennedy accomplished some strictly limited improvements in equal rights by executive action, the civil rights movement generally proceeded without Presidential support. When Kennedy did act in June 1963 to propose a civil rights bill, it was because the climate of opinion and the political situation forced him to act. Ideas for legislation can come from many different sources. When an issue is as important and controversial as civil rights was in 1963, the final bill may reflect the ideas of individual citizens, organized groups, members and committees of Congress, congressional staff, and the executive branch. The specific source of the 1964 Civil Rights Act was the President of the United States. John Kennedy began the process of gaining support for the legislation in a nationally televised address on June 11, 1963. Discouraged by the violence accompanying the Birmingham demonstrations, Kennedy urged in eloquent language that Americans take action to guarantee equal treatment of every individual, regardless of color. The Justice Department was charged with the responsibility of converting the President’s words into legislative form. Department officials developed a proposal to address the serious problems of racial discrimination which at the same time recognized the politics of the situation. After consulting with congressional leaders in both parties, drafters of the bill avoided any controversial and unnecessary language that could have alienated potential support in Congress. The bill’s sponsors kept a close eye on the 67 votes needed in the Senate to overcome any filibuster against civil rights. After outlining specific recommendations and lining up bipartisan support, the Kennedy administration sent its proposal for a bill to Congress on June 19. Political factors continued to shape the President’s attitude. 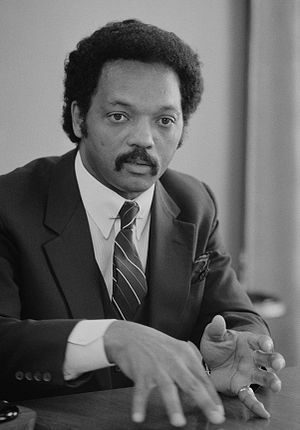 He worked to secure Republican congressional assistance; he sought unsuccessfully to ward off opposition from the southern wing of his own party; and he urged African American leaders to control demonstrations more carefully so as not to scare off potential supporters by inciting violence in the streets. Kennedy likewise marshaled support by conducting discussions with businessmen, religious leaders, labor officials, and other groups. He sought by these means to stimulate Congress to action by mobilizing pressure for passage without at the same time jeopardizing the fragile political coalition needed to pass the bill. It was against this background that the administration’s proposal went to Congress. On the Senate side, the bill was introduced in three forms: the entire bill, introduced by Senate majority leader Mike Mansfield, went to the Judiciary Committee for consideration as did the entire bill minus Title II; controversial Title II, co-sponsored by Mansfield and Everett Dirksen, went to the Commerce Committee for special study. Title II barred discrimination in a wide range of public accommodations, regardless of whether or not they were owned privately, and was the object of a good deal of criticism. The strategy here was to isolate the most objectionable part of the bill so as not to jeopardize consideration of the remainder. Eventually, 42 senators joined in co-sponsorship of the omnibus civil rights bill. On the House side, the entire bill was sent as a unit to the House Judiciary Committee. Although either house of Congress could have taken the lead in considering civil rights legislation in 1963 and 1964, the Senate preferred to delay action until the House considered the legislative package proposed by the President. Senate leaders prevented the Judiciary Committee and the Commerce Committee from formally reporting any of the several civil rights proposals they considered in 1963, including S.1731 and S.1732 which contained the Justice Department’s proposals. (For a legislative history, click here.) If a bill had been reported, it could have been called up for consideration and debate on the Senate floor. The leadership did not want to risk a filibuster they knew would result because it would delay other Senate business. It was more difficult to get a bill through Senate committee for another reason: both the Judiciary and the Commerce committees were chaired by southern conservative senators. As a result of this strategy on the part of the Senate leadership, the initial focus of activity on what was to become the Civil Rights Act of 1964 took place in the House of Representatives. H. R. 7152 was referred for consideration to the House Judiciary Committee chaired by civil rights supporter Emanuel Celler. As is the case with most major bills, a subcommittee considered the proposal in depth. From the perspective of civil rights advocates, the choice of Celler as chairman of Subcommittee Number 5 was fortunate in that Celler had a strong, positive civil rights record. The ranking Republican member of Judiciary, William M. McCulloch, joined Celler in maneuvering the bill through the committee process. The subcommittee conducted lengthy hearings from May into August of 1963 on the civil rights bill, inviting many witnesses to testify in favor of, or in opposition to, the proposal. The subcommittee, in weighing the evidence, actually rewrote the Justice Department’s draft of H. R. 7152 to make it stronger. In general, the subcommittee draft made it more difficult to prevent African Americans from voting, outlawed discrimination in all public accommodations, gave the Attorney General the right to sue on behalf of integration in education, and guaranteed equal employment opportunities. Members of the subcommittee approved the bill with little trouble. Northern Democrats welcomed the measure, and Republican subcommittee members voted for the bill in order to receive some credit for its passage. More interesting is the fact that some southern Democrats who opposed the administration’s bill favored the more liberal subcommittee bill because they felt that a stronger bill would be impossible to pass on the floor of the House. The Kennedy administration apparently saw the correctness and the danger of the southern Democrats’ reasoning. When the entire Judiciary Committee considered the subcommittee’s draft of the bill, Attorney General Robert Kennedy appeared before the full committee in executive session in mid-October to urge that it report a more moderate bill. The Kennedy administration knew that a strong civil rights bill would be more difficult to pass because Republicans would find little in it to support. Republican support was absolutely crucial for Senate passage and only slightly less so for House passage. The administration’s successful efforts to moderate the bill naturally aroused suspicion among some civil rights groups, but Kennedy probably had little choice: compromise or no bill. As a result of the administration’s urging, Democratic and Republican House leaders on the Judiciary Committee worked together to produce a more acceptable piece of legislation. Republicans were able to modify voting registration procedures, the status of the Civil Rights Commission, and enforcement procedures. The resulting compromise received the Judiciary Committee’s endorsement, 23 to 11, on October 29, 1963, after the original subcommittee proposal was defeated, 19 to 15. The Judiciary Committee formally reported H. R. 7152 on November 20. The new bill accomplished more in the areas of civil rights protection than the Kennedy administration’s first request. The process of legislative bargaining and compromise produced a much different bill than had been introduced earlier in the year by the Justice Department. This is true of most major legislation. The bipartisan civil rights bill exceeded early versions by extending the Justice Department’s enforcement powers; by requiring government agencies to seek nondiscrimination in federal programs; by establishing an Equal Employment Opportunities Commission; and by other modifications. Although the Judiciary Committee issued a favorable report on H. R. 7152 in November, the House Rules Committee still had to grant it a rule before it could be considered on the House floor and voted upon. It was the Rules Committee that determined when and under what conditions bills could be brought up for formal consideration by the entire House membership. Rules Committee chairman Howard W. Smith of Virginia, a longtime opponent of civil rights, refused to grant the bill a rule before the end of 1963. When civil rights advocates, including Congressman Celler, threatened to sign a discharge petition to free the bill from the Rules Committee, Smith promised to grant a rule early in January 1964. The Rules Committee finally cleared H.R. 7152 for floor consideration on January 30, 1964. House Debate and Passage The House of Representatives debated the bill for nine days and rejected nearly one hundred amendments designed to weaken the bill before passing H.R .7152 on February 10, 1964. Of the 420 members who voted, 290 supported the civil rights bill and 130 opposed it. Republicans favored the bill 138 to 34; Democrats supported it 152-96. It is interesting to note that Democrats from northern states voted overwhelmingly for the bill, 141 to 4, while Democrats from southern states voted overwhelmingly against the bill, 92 to 11. A bipartisan coalition of Republicans and northern Democrats was the key to the bill’s success. This same arrangement would prove crucial later to the Senate’s approval of the bill. House action on the bill had been nearly exhaustive. In total, the House held 70 days of public hearings, listened to 275 witnesses, and published 5,792 pages of testimony. It was now up to the Senate to decide the bill’s ultimate fate: Would H. R. 7152 become the most important civil rights law of the century or would it die like so many previous attempts? Even before civil rights legislation came up for consideration in 1964, the Senate set the stage for a lengthy civil rights debate when it considered changing the Senate rule governing the shutting off filibusters. The filibuster permitted one or more senators to speak on any subject without a time limit. In contrast to the House where debate is limited, Senate Rule XXII stated that the only way to limit debate was for two-thirds of the senators present and voting* to vote for cloture.Cloture ends debate and makes it possible to vote on a bill. Senate liberals who anticipated a filibuster by opponents of civil rights wanted to make it easier to shut off debate by decreasing the number of votes needed to end debate. The Senate, however, refused to change Rule XXII on January 31 by a 53 to 42 vote. This set the stage for the impending Senate consideration of the House passed version of the civil rights bill by making it possible for a minority of senators to block action with a filibuster. * Changed March 7, 1975, to three-fifths of the total membership of the Senate. After the House-passed H. R. 7152 on February 10, the bill went to the Senate for its consideration. It was held for a few days by the House before it was “messaged” to the Senate on February 17. The bill promptly went to the desk of the president pro tempore of the Senate where it received its first reading. Senate leaders had prepared for the legislative controversy over H. R. 7152 in a number of ways. The Senate Judiciary Committee, which was the logical committee to consider a civil rights bill, was manned by conservatives who probably would have delayed or even pigeonholed the bill. Senate leaders knew that since the bill had passed the House, it could be placed directly on the Senate calendar without having to go through committee. Although the Senate rules permit this bypassing of its committee structure, the tactic is employed rarely. Opponents of the civil rights bill opposed the leadership strategy, but supporters gathered enough votes to place H.R .7152 directly on the Senate calendar by a 54 to 37 vote on February 26,1964. This action was crucial since it meant that southern conservatives could not kill the bill in committee and would have to rely on the filibuster to defeat civil rights legislation on the Senate floor. The parliamentary maneuvering did not cease immediately, however. After the bill reached the Senate calendar, the Senate considered a motion to take up, or debate, the bill on March 9. This preliminary proposal to begin debate itself caused a sixteen-day debate before, on March 26, the Senate voted 67 to 17 to begin formal consideration of the civil rights legislation. Another effort to refer the bill to the Judiciary Committee failed by a vote of 50 to 34. When the House-passed bill reached the Senate floor in March 1964, three groups of senators formed: pro-civil rights Democrats, southern Democrats opposed to the bill, and Republicans. Senator Hubert H. Humphrey led the Democrats who supported the bill and worked actively for its passage. As Senate majority whip, Humphrey enjoyed the support of Mike Mansfield, Senate majority leader. Together they were determined to pass the legislation and even arranged grueling twelve-hour daily sessions to wear down the opposition. Humphrey’s task was to line up supporters to defend the bill in debate, to persuade reluctant members of his party to vote for passage, to encourage publicity, and to count votes. The Senator from Minnesota labored hard for passage and sought cooperation from many sources, including the Republicans. Senator Richard Russell, Democrat from Georgia, led the so-called opposition forces. The group was also known as the “southern bloc.” It was composed of eighteen southern Democrats and one Republican, John Tower of Texas. Although a hopeless minority, the group exerted much influence because Senate rules virtually guaranteed unlimited debate unless it was ended by cloture. The “southern bloc” relied on the filibuster to postpone the legislation as long as possible, hoping that support for civil rights legislation throughout the country would falter. The Democratic leadership and Humphrey could not control the southern wing of the party. Russell’s forces disliked civil rights legislation for several reasons. Many feared that their southern constituents would vote them out of office if, as senators, they voted for equal rights for African Americans. The “southern bloc” held up consideration of the bill from March into June hoping that presidential candidate George Wallace, a segregationist from Alabama, would do well in the early presidential primaries. If Wallace seemed popular, Russell would argue that the nation as a whole did not support federal civil rights legislation and that the Senate should not pass an unwanted bill. 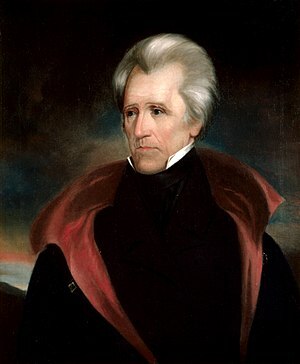 Southern senators could not compromise. Only by forcing cloture could they demonstrate to their constituents that they had fought to the end against hopeless odds. The filibuster forces knew that they faced a long and tiring battle. Their opponents had anticipated and planned for the filibuster. In fact, Humphrey personally opened full-fledged debate on the civil rights bill on March 30 with a three hour, eleven-minute speech from a 68 page speech of his own in defense of H. R. 7152. Both Humphrey and Thomas Kuchel (R-CA), Senate Minority Whip gathered enough senators together so that at any time a quorum call came up, the pro-civil rights forces could answer it. Northerners also combated the “southern bloc” by answering southerners’ criticisms of the bill on the floor rather than simply letting the filibusterers speak indefinitely without response. To respond to the organized opposition, southerners formed a platoon system composed of three six- member filibuster teams. When one team had the floor for the filibuster, the other two would rest and then prepare to take turns speaking on the floor. The Republican Party was not so badly split as the Democrats by the civil rights issue. Only one Republican senator participated in the filibuster against the bill. In fact, since 1933, Republicans had a more positive record on civil rights than the Democrats. In the twenty-six major civil rights votes since 1933, a majority of Democrats opposed civil rights legislation in over 80 % of the votes. By contrast, the Republican majority favored civil rights in over 96 % of the votes. The Republican pro-civil rights forces were blessed with gifted leadership. 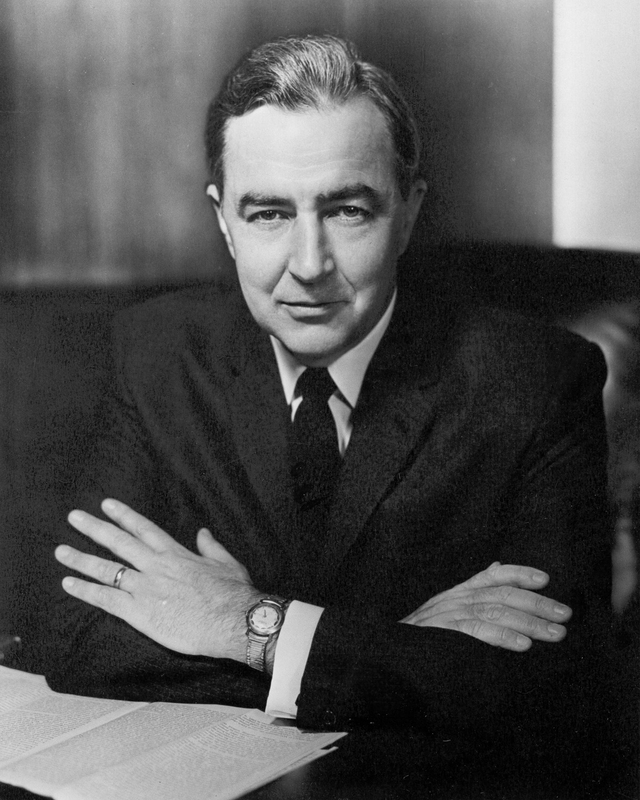 Although Senate minority whip Thomas Kuchel initially managed the party’s forces, it increasingly became clear to Democrats, Republicans, the press, civil rights groups, and the White House that Everett McKinley Dirksen was the key man in the entire civil rights legislative effort. After criticizing H. R. 7152 in March, Dirksen began to work more closely in late spring with Humphrey and the civil rights forces to fashion a strategy that would secure passage of the bill. Dirksen organized Republican support for the bill by designating a floor captain for each of the bill’s seven sections. He and the bipartisan leaders believed that five or six “swing” votes held the key to cloture and the end of debate. Almost all of these uncommitted senators were conservative Republicans from rural states without racial difficulties. Their constituents opposed the legislation because it involved expanded federal powers. The problem facing the leadership was how to enlist the support of these uncommitted senators. By working with Dirksen to swing key votes and by marshaling public opinion and constituent support for the civil rights measure, Senate leaders moved forward with the legislation. Interest in the legislative course of H. R. 7152 was not confined to Congress. Outside pressure on Congress came from ordinary citizens, civil rights organizations, church organizations, and the executive branch of government. Incredible allegations have been made. Extreme views have been asserted. The mail volume has been heavy. The bill has provoked many long-distance telephone calls, many of them late at night or in the small hours of the morning….Thousands of people have come to the Capitol to urge immediate action…. Telegrams, petitions, and letters all expressed the climate of opinion that shaped the legislative struggle and pressured Congress to act. Civil rights and church organizations joined in the massive lobbying effort. The National Association for the Advancement of Colored People, the Congress of Racial Equality, the National Urban League, the Southern Regional Council, the Southern Christian Leadership Conference, and others sought to represent the African American interest in civil rights. 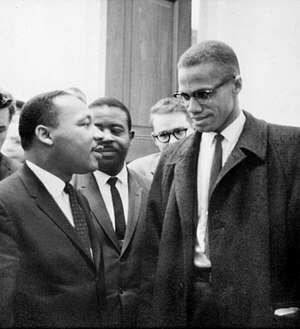 These groups combined, for example, to sponsor the successful March on Washington in 1963. At times, however, the vocal pressure exerted by African American groups worked to their disadvantage. One such case involved Senator Dirksen. African American groups in Illinois had not supported Dirksen for reelection to the Senate in 1962 and suspected his loyalty to African Americans during the civil rights debate. African American organizations knew the importance of Dirksen’s vote and intended to force him to support an unchanged H. R. 7152 by demonstrating and picketing his Chicago office. James Farmer, director of CORE, publicly declared that there would be “extensive demonstrations” in Illinois against the Senator personally. Farmer added that “people will march en masse to the post offices there to file handwritten letters” protesting Dirksen’s ambivalent attitude. The protestors had almost directly the opposite impact. Dirksen strongly objected to what he believed were uncalled-for tactics by African American groups; he resented their lack of trust in his judgment and his favorable civil rights record. On February 17, 1964, Dirksen complained on the Senate floor about the harassment and let it be known that such pressure would not affect his judgment. “When the day comes that picketing, distress, duress, and coercion can push me from the rock of conviction, that is the day,” Dirksen announced, “that I shall gather up my togs and walk out of here and say that my usefulness in the Senate has come to an end.” Richard Russell, leader of the filibuster forces, thought that Dirksen might desert the civil rights proponents because of the incident, but the minority leader did not forsake the northern Democrats. Hubert Humphrey made sure, however, that African American groups did not risk Dirksen’s support by similar tactics. Click here. In spite of CORE’s mistake, group pressure generally proved effective in creating support for civil rights legislation. Labor unions, including the powerful AFL-CIO, joined the lobbying effort in impressive numbers. The National Council of Churches, the National Catholic Conference for Interracial Justice, the National (Jewish) Community Relations Advisory Council, and the National Student Christian Federation added potent strength to the cause of civil rights by marshaling organized religious support behind the bill. Other interest groups which testified for the bill, or coordinated support for it, included the Americans for Democratic Action, the American Civil Liberties Union, the Japanese-American Citizens League, theWomen’s International League for Peace and Freedom, and the American Veterans Committee. In all, nearly one hundred major national organizations representing multiple interests combined to favor the omnibus civil rights act. Click here. The executive branch of government conducted a lobbying campaign of its own. Both President John Kennedy and Lyndon Johnson had worked out legislative strategy with; a view toward persuading Congress to accept civil rights legislation. President Johnson even assigned two members of his White House staff to cultivate Dirksen’s commitment to H. R. 7152 . Conferences between the executive and Congress abounded. lt was very clear to contemporary observers that the administration had brought its full persuasive powers to bear on the civil rights legislation. 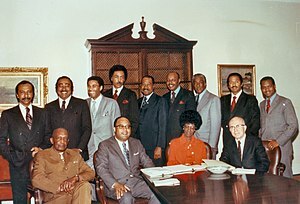 As the civil rights debate unfolded, it became increasingly clear that the southern bloc objected most strongly to two sections of the bill, the cut-off of federal funds to projects that discriminated against African Americans and the provision for fair employment practices enforcement. Many Republicans, including the “swing” senators, joined the southerners in their concern about the impact of fair employment provisions on business, particularly small businesses. Even in states with no racial problem, the prospect of making employers comply with the law seemed to many Republican to be an unwarranted expansion of federal power. Early in April 1964, Everett Dirksen, who had expressed reservations about the bill, indicated to the press that he might offer amendments to the fair employment practices title. Although President Johnson had made it clear that the administration wanted the Senate to accept the House bill without change, the Republicans met in study groups throughout April in an effort to make the bill more acceptable through modification. Dirksen first discussed his proposals to modify the bill with the Senate Republican Policy Committee on March 31 and then with all Republican senators. Dirksen knew that to persuade Republicans to support northern Democrats in their effort to end the filibuster, he would have to make the bill itself acceptable to the “swing” senators. He met repeatedly with his Republican colleagues in an attempt to forge a consensus on appropriate changes. The task was not an easy one, and several senators objected to Dirksen’s tactics and recommendations. At one point Dirksen explained his goal as “. . . first, to get a bill; second, to get an acceptable bill; third, to get a workable bill; and, finally, to get an equitable bill.” Slowly the rough consensus that Dirksen sought began to emerge. Rather than stressing the moral or racial questions involved, Dirksen focused on a compromise that emphasized state responsibility for civil rights enforcement. The Senate minority leader realized that the “swing” votes would not be persuaded social arguments but by assurances that federal government intervention in local affairs would be kept to a minimum. Dirksen eventually proposed ten amendments for his colleagues’ consideration that assured the states primary jurisdiction over complaints about discrimination during a transition period before the federal government entered the picture. Dirksen’s modified bill appeared to satisfy enough Republicans to guarantee that the prolonged filibuster would be ended when a vote could be scheduled. Meanwhile, the filibuster continued throughout the entire month of April into May. Two- hour speeches were common, but occasionally a senator would speak without interruption for eight hours. Senator Dirksen remembered that one of his colleagues brought a 1,500 page speech to deliver on the Senate floor. The filibuster virtually immobilized the Senate in all its other activities. The Johnson administration realized that it would have to fashion some kind of compromise with the Republicans and Everett Dirksen in order to persuade the “swing” votes under Dirksen’s influence to favor cloture. During the first week in May, Dirksen began talks in his office with Senate Democratic and Republican civil rights advocates and with Justice Department officials to achieve an acceptable package of civil rights legislation. On May 13, after 52 days of filibuster and five negotiation sessions, Dirksen, Humphrey, and Attorney General Robert Kennedy agreed to propose a “clean bill” as a substitute for H. R. 7152. Senators Dirksen, Mansfield, Humphrey, and Kuchel would cosponsor the substitute. This agreement did not mean the end of the filibuster, but it did provide Dirksen with a compromise measure which was crucial to obtain the support of the “swing” Republicans. The compromise civil rights bill worked out in Dirksen’s office did not seriously weaken the original H. R. 7152 . The bargainers were careful not to include any changes that might cause the House to reconsider the entire bill once the Senate had finished its work. The “clean bill” made somewhat over seventy changes in H. R. 7152 , most of them concerning wording and punctuation and most of them designed to win over reluctant Republicans and to allow cloture. The major change in what was called the Dirksen-Mansfield substitute was to lessen the emphasis on federal enforcement in cases of fair employment and public accommodations violations. The substitute gave higher priority to voluntary compliance than the House bill. It encouraged more private, rather than official, legal initiatives. The compromise also reserved a period for voluntary compliance before the U.S. Attorney General could act in discrimination suits. What Dirksen had done was to put together a substitute for the House-passed H. R. 7152 that was near enough to the original version that it satisfied the Justice Department and the bipartisan civil rights coalition in Congress, and sufficiently different in tone and emphasis to win a few Republican converts to support cloture. Armed with the compromise bill and moving toward consensus within his own party, Everett Dirksen became the man of the hour. The fate of civil rights legislation rested squarely on his shoulders. Dirksen overcame the continuing reluctance of some of his party colleagues to cooperate during a June 5 Senate Republican conference and indicated to Senate majority leader Mike Mansfield that the time had come to vote on cloture. Dirksen and Mansfield then joined to offer a motion to invoke cloture and thereby end the filibuster. On June 10,1964, after an impassioned plea by Dirksen on behalf of the compromise bill, the Senate voted 71 to 29 to close off the civil rights filibuster. Every member of the Senate was present for the vote, including Senator Engle of California who had suffered a stroke and could not speak but pointed to his eye as a sign of his “aye” vote. The margin was four votes larger than the 67 required. It ended 57 days of debate, the longest debate since the cloture rule had been adopted in 1917. Forty four Democrats and 27 Republicans supported cloture; 23 Democrats and 6 Republicans opposed it. Several factors combined to impel senators to vote for cloture besides the merits of bill. Many simply wished to move on to other Senate business. Some were candidates for reelection in 1964 and wanted to speed up the work so they could return home to campaign. Still others needed to prepare for the up-coming national party conventions. Finally, there were the “swing” Republicans who had listened to Dirksen and had senators voted for cloture because Dirksen had persuaded them:Carl Curtis and Roman Hruska of Nebraska; Karl Mundt of South Dakota; and Jack Miller of Iowa. Without Dirksen’s assistance, there is little doubt that the civil rights forces would have been defeated in their attempt to end debate. Senator Everett Dirksen and Hubert Humphrey share in the victory as the Senate ends debate on the civil rights bill. Humphrey holds the vote tally sheet on the cloture motion. June 10, 1964. Under the Senate rules, after cloture is invoked each senator may speak for one hour on the bill or pending amendments. Although southerners called up many amendments between June 10 and June 17 to stall action further, the Senate leadership allowed only those it wanted to be adopted. Most of the amendments were defeated by large margins. 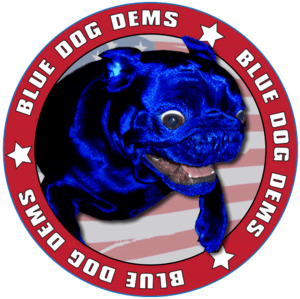 On June 17, the Senate voted by a 76 to 18 margin to adopt the bipartisan substitute worked out by Dirksen in his office in May and to give the bill its third reading. Two days later, the Senate passed the bill by a 73 to 27 roll call vote. Six Republicans and 21 Democrats held firm and voted against passage. In all, the the 1964 civil rights debate had lasted a total of 83 days, slightly over 730 hours, and had taken up almost 3,000 pages in the Congressional Record. Since the Senate-passed version of the bill differed from the House passed H. R .7152, the measure returned to the House of Representatives for reconsideration. During the long months of debate in the Senate, the House leadership had watched anxiously. Neither the Senate nor the House wanted to jeopardize passage of the bill by making wholesale changes in it that would undermine its support in the other body. Consequently, when the Senate sent its approved compromise substitute bill back to the House for action, every attempt was made to accept compromise in the House without change to avoid beginning another lengthy debate and to avoid sending the bill to conference committee. The chief stumbling block in the plan was the southern-dominated Rules Committee. A bipartisan coalition of committee members quickly surmounted this obstacle by seizing control from chairman Howard Smith and, on June 30, the House Rules Committee reported H. Res.789 providing for the acceptance of the Senate bill without change. House leaders brought the resolution up for floor consideration on July 2 where members quickly approved the Senate-passed civil rights bill, 289 to 126. Only six representatives changed their votet from February when the House first sent H. R. 7152 to the Senate. Because there were no differences in the two bills, there was no need for a conference committee and the bill went immediately to the White House for President Johnson s signature. We believe that all men are created equal — yet many are denied equal treatment. We believe that all men have certain inalienable rights. We believe that all men are entitled to the blessings of liberty — yet millions are being deprived of those blessings, not because of their own failures, but because of the color of their skins. The reasons are deeply embedded in history and tradition and the nature of man. We can understand without rancor or hatred how all this happens. But it cannot continue. Our Constitution, the foundation of our Republic, forbids it. The principles of our freedom forbid it. Morality forbids it. And the law I sign tonight forbids it…. wHY DO WE FORGET SO EASY?